Making the summer of 2018 even sweeter! 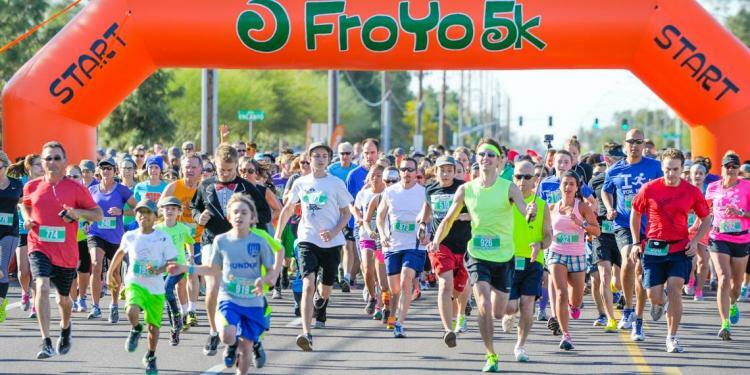 Treat yourself to the coolest race around...the FroYo 5K coming to Carmel, Indiana on June 30th. Family friendly 5K Run/Walk featuring the 75 foot Fro-Zone misting tunnel, a huge swirl finisher medal with full size silver spoon attached, custom hat & sunglasses, quality event tee or tank top, FroYo drawstring bag, a chance to win a 10 inch golden spoon, free race day photos, AND delicious Huddles Frozen Yogurt WITH TOPPINGS at the finish line! Registration for adults is $30(through 6/3/18); $35 (6/3 through 6/28). Kids 5K Entry (10 & under only; does not include the race shirt) is $15. To register please click for details For more details regarding groups, please visit the website link provided.